We’re here to support you through your cancer journey. Thanks to our seamless approach to treatment, you remain in the same set of hands throughout your treatment process. 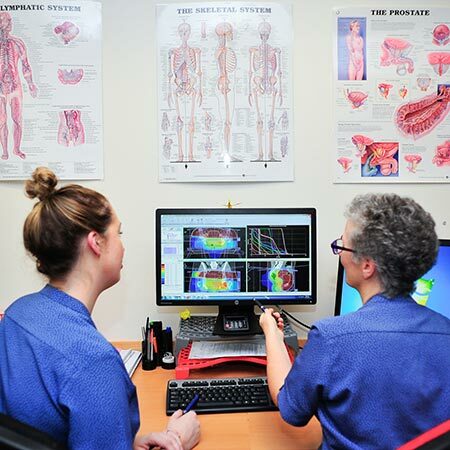 We treat a wide range of cancers. Our specialist team are experts in their field and work together to provide the best possible care. Referrals may be made by any GP or medical specialist in New Zealand. Once referred, you can usually be seen by a specialist within a few days. Find out more about referrals to St George’s Cancer Care Centre. We understand the stress and emotions that come with being diagnosed with cancer. Find out more about the patient journey. The total cost of your treatment will be determined by your treatment plan. After your first consultation at the St George’s Cancer Care Centre, you will be given an indication of the treatment costs required to provide you with the best outcomes. Find out more about costs.